Lock in a great price for Hotel San Diego – rated 8.5 by recent guests! The location was perfect. 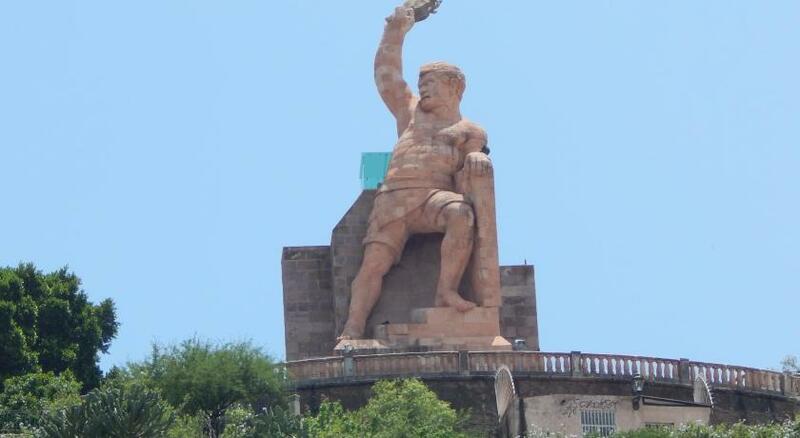 Right in the heart of Guanajuato! 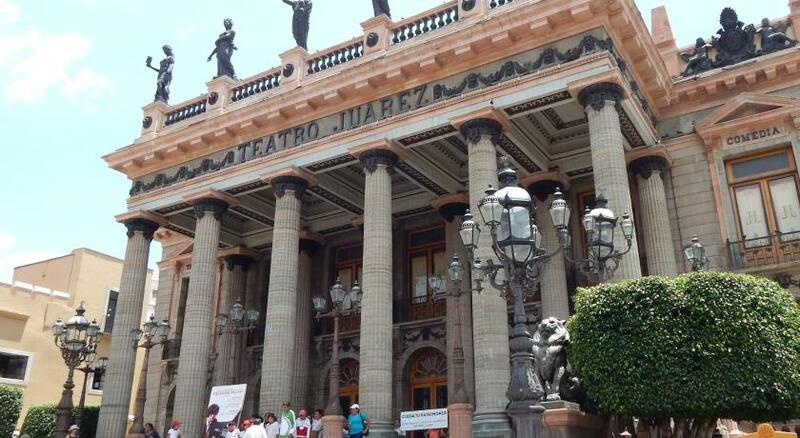 The location is great, right in the heart of the Historic Center. 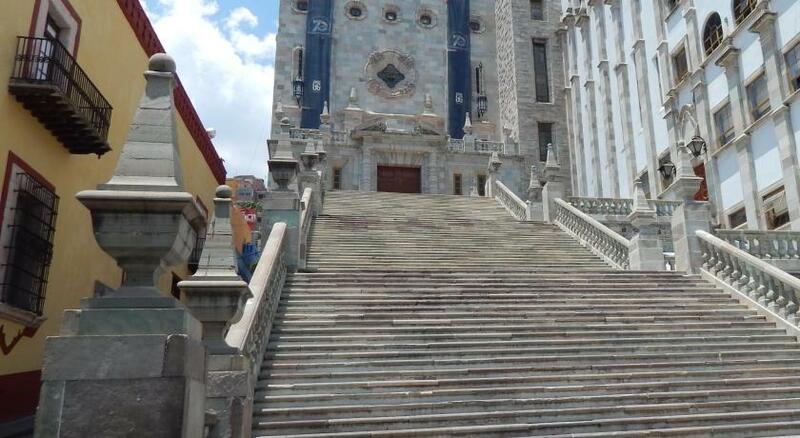 Excellent location in the midst of old centro of Guanajuato! The colonial architecture sporting charming courtyards and staircases with Mexican flair of tile, arches, beams and historical feel struck a positive note. The bellman, José, made us feel welcome and personally ushered me to the "free" parking several uphill blocks away from the parking garage I had somehow found on my own as we had entered the city center. We wish the hotel would replace the single pane windows in the rooms overlooking the Jardin and iglesia with double panes because the loud music and drunken singing which is fun at 11pm is awful at 3 am. The hotel could even charge more and we wouldn’t mind. One of the best location in town and a great view from our room. Staff were friendly also, we arrived before noon and they gave us our room for no extra charge. We had a large room with a balcony. The view from the balcony was just okay. Nevertheless, it was a delight to get outside without going out. We enjoyed daily cocktails on the balcony. Staff was helpful, answering lots of questions. The shower was good with plenty of hot water. Hotel San Diego This rating is a reflection of how the property compares to the industry standard when it comes to price, facilities and services available. It's based on a self-evaluation by the property. Use this rating to help choose your stay! 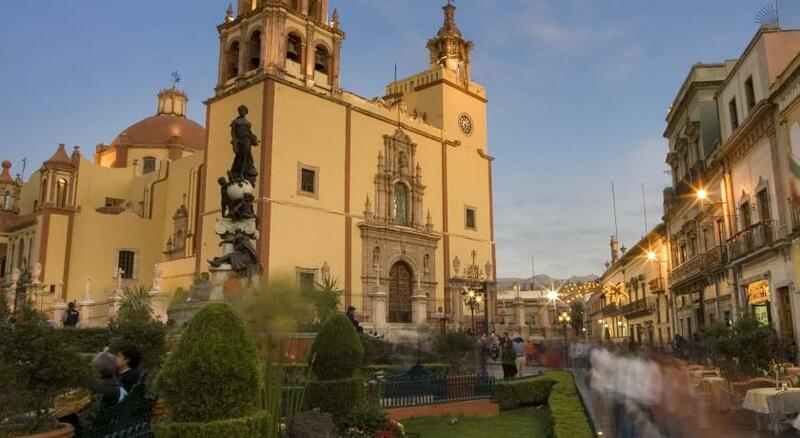 One of our top picks in Guanajuato.Located next to Unión Square, this charming hotel offers free Wi-Fi, an Italian restaurant and a pretty courtyard with a fountain. 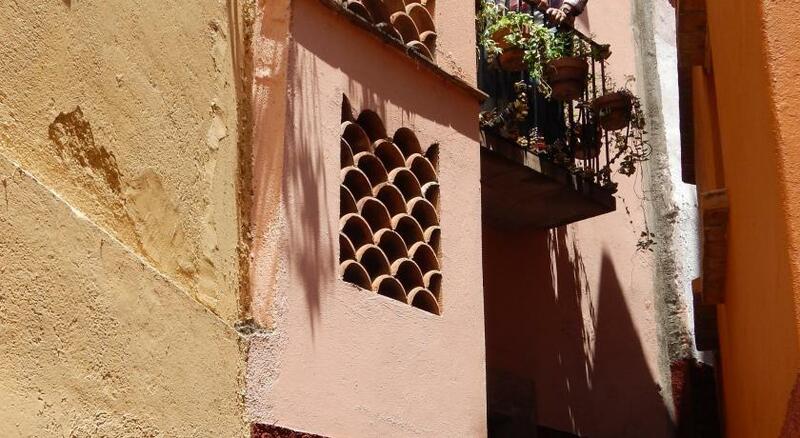 Rooms have views of the courtyard or historic center of Guanajuato. Each bright room at Hotel San Diego has carpeted floors and functional wooden furniture. Rooms offer a fan, a safe and a private bathroom. Some rooms also have a balcony. The San Diego’s elegant restaurant serves authentic Italian cuisine and has a terrace with panoramic city views. You can also enjoy a drink in the cellar bar. Juarez Theater is located just 150 feet from the hotel, while the Mummy Museum is a 5-minute walk away. When would you like to stay at Hotel San Diego? This spacious room includes free Wi-Fi, a fan and a safe. 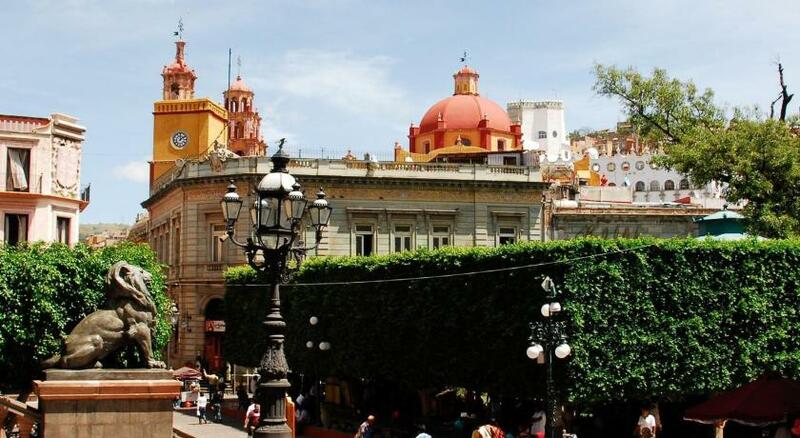 It has views of the central courtyard or the historic center of the city. Some rooms also have a balcony. Public parking is available at a location nearby (reservation is not possible) and costs MXN 16 per hour. This very spacious suite includes free Wi-Fi, a fan and a safe. It has 2 inter-connected bedrooms and 1 private bathroom. These rooms feature free Wi-Fi, a work desk and a plasma-screen TV with cable channels. The private bathrooms include a shower. House Rules Hotel San Diego takes special requests – add in the next step! Hotel San Diego accepts these cards and reserves the right to temporarily hold an amount prior to arrival. Please note that on-site parking is limited and must be reserved in advance by contacting the hotel directly. Contact details can be found in your booking confirmation. There was one staff member who spoke English and she took care of our request for an airport shuttle when we checked in. There was confusion with staff in the morning with how shuttle worked due to language miscommunication. An English-speaking guest stepped in to convey our question. All was well. Location was terrific. However, on a celebratory Saturday night, the music and partying went on until at least 4 AM. Normally I wouldn't have minded, but we had to get up at 3, so no sleep was had. hot in the room at night even on a cool evening. windows can not be opened and fans not nearly enough to cool things down. bathroom sink clogged and would not drain. no glasses in the room. had to call room service. no comfortable chairs in room......poor tv picture....only one english station.....should have been told when making reservation that the restaurant was closed.....no coffee in room or available on site. The hotel itself has seen better days. It seems that there is little maintenance on the comforts that make a hotel a step above. Just because it is older (which I like the charm of an older building), the small things do matter. Example: furnishings are way out of date; the towels are so thin and worn and leave lint all over your body; and although the shower head had good water pressure you could barely turn it on because the entire bathroom floor would flood...simple fix (change the direction of the shower head, it was installed incorrectly) but no one has done anything about it. Definitely has potential but needs attention. The guest room, however, was a disappointing failure attempting update to lackluster contemporary look which was both boring and quite sad. After seeing the facade, the reception and interior courtyard the room was a let-down. The lively location provided a high volume of noise lasting until just hours before dawn, no fault of the hotel. OK for a party animal but less so for us old folks. The ventilation of the room was very little. I think it was probably a few rooms, since mine was located in a corner. The location was great, the staff was very helpful.